92 Vinous Media (made from 50+ year old vines; fermented in 500 liter French oak barrels, with malo and a year of aging in new French oak barriques) Limpid yellow. Powerful, mineral-tinged Meyer lemon and pear nectar scents show very good clarity and complicating hints of anise and toasty lees. Sappy and precise on the palate, offering intense, mineral-laced orchard and citrus fruit flavors and deeper suggestions of buttered toast, peach and honeydew melon that emerge on the back half. Shows impressive energy and finishes silky and very long, with a suave floral nuance hanging on. 92 Wine Review Online In my experience, most white Rioja is either forgettable or downright bad, for one of two reasons: Either the wines are thin and cheap-tasting, or they’re overoaked and clumsy. This one avoids both of those pitfalls, showing very good substance and depth of flavor, with mostly stone fruit notes but also a juicy tropical layer as well. Light spice and just a subtle whiff of toast from 12 months of ageing in new French oak barrels adds additional aromatic complexity plus some pleasant grip in the finish, which nicely off-sets the juiciness of the 30% Malvasia (a quite notable component, along with 50% Chardonnay and 20% Viura). You’ll have a tough time finding a better modern-style white Rioja than this one. 92 JamesSuckling.com Impressive fruit purity. Aromas of white peaches, jasmine and some lemon peel, Gentle and fleshy with a long finish. Drink now. 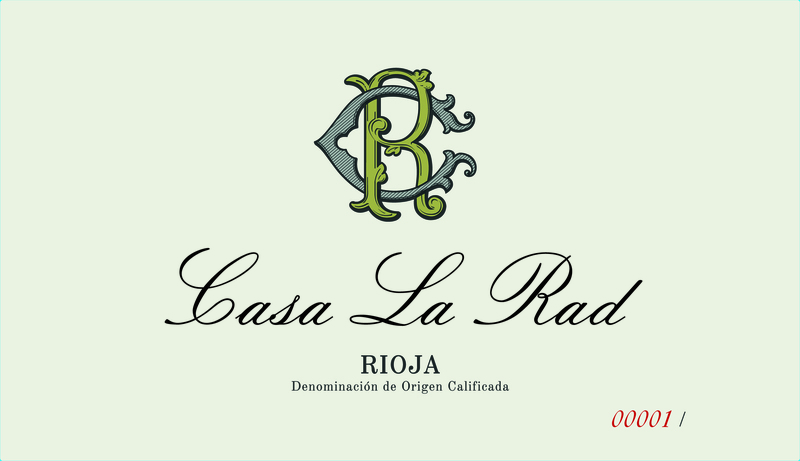 91+ View from the Cellar The regular bottling of Rioja Blanc from Casa La Rad is again a rather surprising blend of fifty percent Chardonnay, thirty percent Malvasia and twenty percent Viura. The chardonnay vines are fully forty years of age, so obviously this has been an important component here for quite some time. The chalky vineyards are farmed organically and the wine is barrel-fermented and then aged in one hundred percent new French barriques for twelve months prior to bottling. The 2015 Blanco offers up a pretty nose of white peach, coconut, limestone soil tones, a bit of almond and a well done framing of vanillin oak. On the palate the wine is crisp, full-bodied, nascently complex and very nicely balanced, with a fine core and good acidity, lovely focus and a long, quite classy young finish. I have no experience with how a Rioja Blanco with this much chardonnay in the blend will age, but this seems to have the balance to do so. Good juice in a rather unique style. 2018-2030+? 91 The Wine Enthusiast From the start, this oak-aged white blend is smooth and nicely knitted together, with peach, vanilla and tropical fruit aromas sticking out. A full-bodied palate is balanced by citrusy acidity, while this tastes explicitly of green apple and oak, with buttery notes rising up on the finish. Drink this elevated acid-driven mix of Chardonnay, Malvasia and Viura through 2025. 91 International Wine Report Aged for 12 months in French oak, this wine is a blend of 50% Chardonnay, 30% Malvasia, 20% Viura, all sourced from vines over 50 years of age. The buttery nose entices right out of the gate with poached pear and brioche elements impressing. The palate shows a really good weight and viscosity with brioche, toasted macadamia nut, white peach and vanilla cream flavors. Nicely balanced, this great wine will age marvelously over the next ten plus years.